Properties in Kidman Park average 4.7 out of 5 stars. Property 25: Cuthero Cottage: Home away from home. 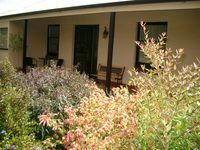 Property 31: Westbury Cottage B&B clean neat great location! Property 33: Your comfortable home away from home in the East End of the Adelaide CBD. What a lovely place. The house was immaculate. It was near shopping so the location was perfect. And the wine chocolates and coffee were an added benefit. Thank you so much for a wonderful stay.